Spotlighting some of the visualizations from the Drawing Data Viz session at Qonnections '17! In what is quickly becoming an annual tradition, at Qonnections 2017 data visualization experts Alberto Cairo of TheFunctionalArt.com and Randy Olson of DataIsBeautiful Reddit moderator fame hosted a Drawing Data Viz session. Attendees were asked to split up into groups and each group was given a large sheet of paper and colored pens in order to redraw a very busy data visualization as shown on the big screen of the conference room. 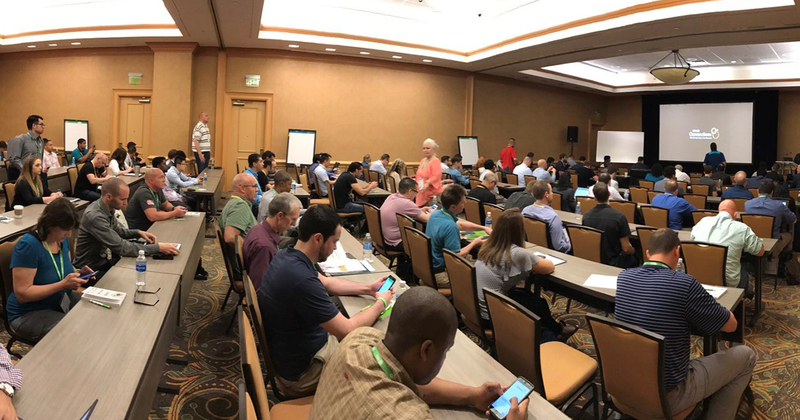 It goes without saying, but we want to extend our thanks to Alberto Cairo, Randy Olson, and all of our teams who contributed to the 2nd annual Drawing Data Viz at Qonnections!